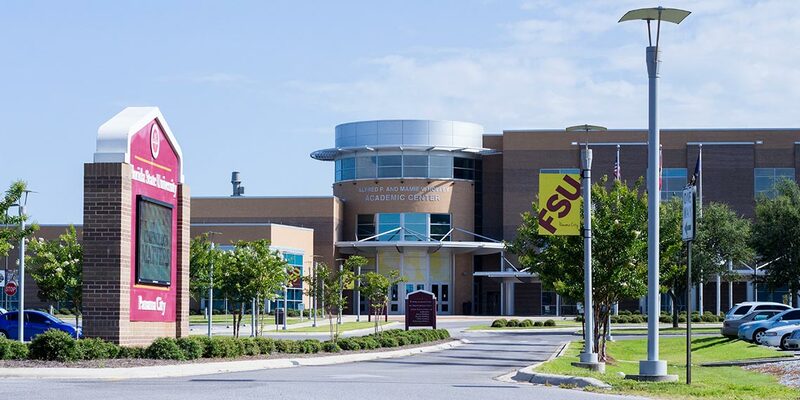 Located at Florida State University’s Panama City campus, the hall offers seating for 450 overlooking beautiful North Bay. There is also a waterfront outdoor entertainment area adjacent to the hall. General and accessible parking are located in front of the academic center.